ESCANABA — Years ago, most of the objections from the public regarding how our state natural resources were managed by the Michigan Department of Natural Resources (MDNR) came from a lack of transparency. The opportunities to provide input on issues were limited mostly by time and travel. The electronic age has caught up with the outdoors in that everyone with access to the internet can now be a integral player. The program in place in helping develop the Chronic Wasting Disease (CWD) Reaction Plan for the Upper Peninsula (UP) is a prime example. As of May 1, another similar process has begun and centers on the recreational open/closed motorized riding status of state forest roads in the UP. Public Act 288 (PA288) was signed into law by Governor Rick Snyder in September of 2016. 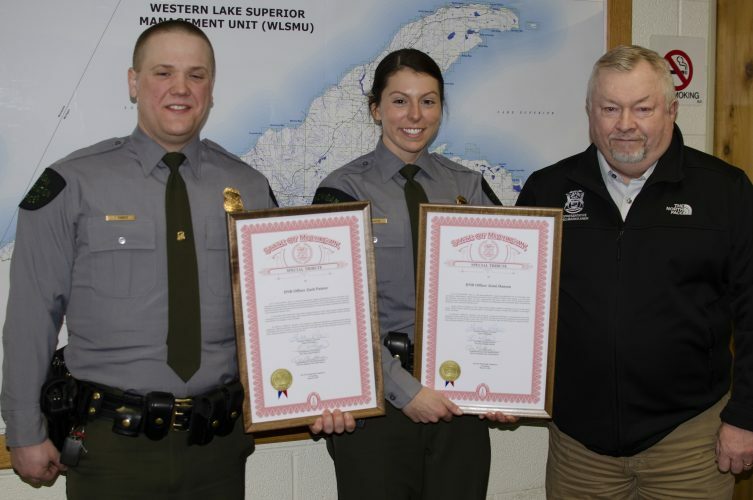 The intent of the new statute was to blend open for use rules on state forest roads for recreational motorized riding, in particular All Terrain Vehicles (ATVs) and Off Road Vehicles (ORVs), where previous law had set all roads in the U.P. being open unless posted closed. In contrast the opposite has been present in the Lower Peninsula (LP) where all state forest roads were closed unless posted open. The new law mandated the MDNR to inventory all state forest roads and then engage the public in the selection process of which should be open or closed. The northern LP was required to be completed by the end of 2017. The U.P. and southern L.P. are due this year. The project in the U.P. has reached a point where the public can now view the entire map and zero in on areas of interest via a special MDNR website. Once opened you can locate your special points of interest and click on an area of concern on an interactive map. Then you can mark it and provide comment for review by the MDNR. After being prompted in writing down your comments, a click of your mouse will send it directly to the DMNR. Your information is not made public until your concerns are resolved and if accepted, an envelop marker will be tagged onto the map location for reference. I am admittedly not the most computer savvy person, but found the process pretty easy to follow. On the area I marked concern; I commented that one portion of state forest road I have used will now be closed. “This road has been actively used as part of a network for at least 40 years. There are wet seasons that make it difficult to travel through and other dry periods that it serves as an easy access two-track road. Moreover, it already appears on the topographical maps as a contiguous part of the existing roads. There is a segment of road to the southwest that shows blank on the map yet has also been part of the original state forest road considered open since I first used it in 1976.” The combined length of my concern totals approximately one mile, but it is a critical segment used for hunting by groups in my area. There will be points where closures will be scheduled to occur for a mix of reasons that include environmental, ecological and/or wildlife involvement. State forest lands purchased with game and fish funds could also be impacted, although that would not play a major role in the U.P. This process has had positive results when worked in the northern LP. The original target amount of state forest roads proposed for opening was approximately 76 percent of the total inventory. After public input, over 83 percent of the total inventory was placed for consideration to open. – Use of pack and saddle animals for the retrieval of big game animals. The quickest access I found to this site was by searching for “Michigan DNR Forest Roads Inventory PA288”. This is the first phase of public comment and runs now through June 15th. You can also send comments direct via email to DNR-RoadInventoryProject@michigan.gov, by regular mail to DNR Roads Inventory Project, 1990 US-41 South, Marquette, MI 49855. There is a list available for access on the Forest Roads Inventory web page that will open the most frequently asked questions and closure criteria. You can also open and read the full text of Public Act 288. The second page will provide access to the interactive map and specific sections as well as the printable county maps throughout the U.P. Both pages can be downloaded for printing. Roads determined to be among the list of those to be closed are required to be marked. The current signage system for ATV/ORV designated trails, routes and connectors are utilizing a new anchoring post made of brown carsonite. These flat posts have the confidence/icon markers attached for riders to know allowed use and direction. The carsonite posts will also be used on the closed segments, will be a red color without identification icons. The annual $26.25 ORV license is required for riding on public state forest land roads. The additional $10.00 ORV trail license is only required on the designated trails, routes and connectors. This is a great opportunity for end users to have direct impact to the final outcome.